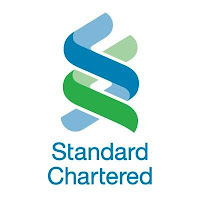 Description: About Standard Chartered We are a leading international bank focused on helping people and companies prosper across Asia, Africa and the Middle East. To assist and advise Country Head, Retail Banking in all aspects of his duties, coordinating and leveraging internal resources to ensure all core KPIs are met in a timely manner. The job holder will need to display exemplary business acumen and interpersonal skills. · To assist the Country Head, Retail Banking in implementation of sound controls and consistent governance operating model and processes across the Bank to ensure adherence to the global & country standard governance procedures within the Bank. · Implement, track and report on management objectives for the Country Head, Retail Banking and the direct reports, business performance management and productivity/efficiency assessment of the business unit. · Undertake specific business projects for the Country Head, Retail Banking. · Organise and coordinate key business meetings and monitor follow up actions. Create and deliver reporting and presentations, as required. · Assist with the development, implementation and updates of the business strategy in line with the broader Retail Banking strategic agenda. Ensure business alignment with other Retail Banking functional teams. · Be a key contact for Country Head, Retail Banking direct and indirect reports, for matters that require support. · Focus on delivering financial performance, drive and monitor business plans, budgets and other business planning projects. · Identify and implement best practices in resources and processes, ensuring consistency and relevancy. · Strong writing and communication skills with the ability to articulate well. · Strong inquisitive mind with the ability to structure information. · Ability to see the big picture and appreciate the strategic intent. · A team player with the ability to interact and work with a wide variety of stakeholders. · Strong project management skills with ability to prioritize and handle a stretching, diverse workload. · A self-starter with a hands-on style and determination to make a difference. · Ability to work on broad strategic projects and day-to-day process-oriented tasks. · Arranger and Process Discipline in order to drive multiple agendas. · Flexibility and responsiveness in order to handle changing priorities and urgent requests from management. · The capability to operate independently and with the maturity to run with several significant business initiatives in parallel. · Strong organizational skills with the ability to operate with minimal guidance and identify priorities.